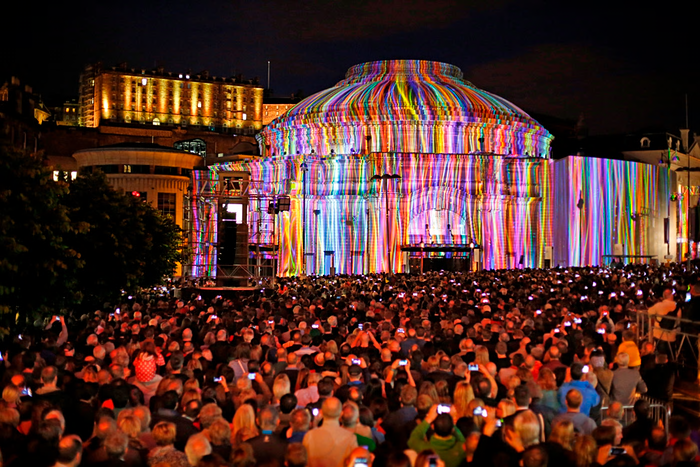 That’s what I felt I was immersed in on Friday, when I went to the opening event of the Edinburgh Festival. The Harmonium Project projected stunning images, created to complement the choral piece Harmonium, onto the façade of the Usher Hall. It’s almost impossible to describe adequately – have a look at the clip here. Determined to get my annual dose of culture all at once, I saw Sylvie Guillem’s farewell tour on Sunday. The end of an era in dance… She was, of course, utterly wonderful, and it was a privilege to have the chance to see her at the end of her career. I’m convinced I saw her at the start too, dancing with Nureyev and Paris Opera Ballet at the festival sometime in the 80s, but I’ve failed to track down any information about it on the web. Can anyone out there confirm whether my memory has misled me here?